Back in print in new trade paperback editions, the third of five volumes collecting the complete stories of renowned weird fiction” author Clark Ashton Smith. 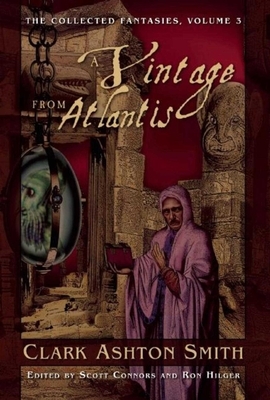 A Vintage from Atlantis is the third of five volumes collecting all of Clark Ashton Smith’s tales of fantasy, horror, and science fiction. It includes all of his stories from The Holiness of Azédarac” (1931) to The God of the Asteroid” (1932), as well as an introduction by Michael Dirda.